Vital Earth Minerals is pleased to announce the hiring of a new Neutraceuticals Broker, Anita Marley, to help expand their market and educate store professionals in the Southwest. Marley brings 12 years of experience to the position. Vital Earth Minerals is pleased to announce the addition of Anita Marley of Charm to Market, in Austin, Texas to their network of professional supplement brokers across the country. This new addition expands Vital Earth’s representation to health food stores and markets in Texas, Okla., Ark. and La. “The market for Vital Earth products is expanding so rapidly in the Southern states that the services of a knowledgeable broker became a necessity”, said Product Trainer, Dorothy Holden. Marley’s duties will include presenting the product line to new stores, training staff on the unique benefits of the Vital Earth line, and coordinating product demos for the public. Marley has been immersed in the alternative health industry for 12 years, bringing in-depth knowledge of natural solutions to her new position. “Having spent my childhood in the Texas Hill Country, homegrown foods and alternative medicine was a way of life. Desiring to take that passion and expertise to a grander scale, I created my own brokerage business, Charm to Market. Simply put, I love what I do. Being able to grow businesses and friendships while helping people become healthier is truly a dream come true”, said Marley. The transition from the way she was raised to a career in retail vitamin supplements, nutritional counseling and neutraceutical sales was a natural. 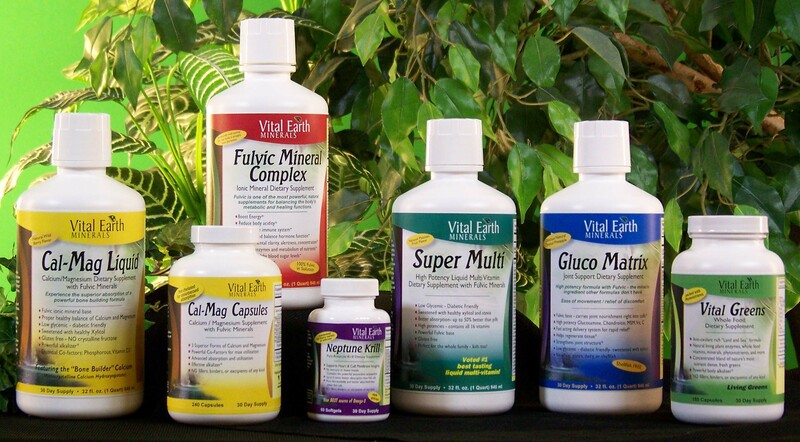 Vital Earth Minerals is the manufacturer of a unique, proprietary line of supplements that contain a key ingredient, Fulvic Minerals. Fulvic significantly increases the absorption and utilization of all the other vitamins and minerals in the products as well as nutrients that are consumed in food. The products are primarily liquids, which boosts absorption to 98%. The formulas are designed to provide the base line nutrition needed to repair and energize cells. When the cells of a liver, or heart or thyroid are repaired and energized, that organ begins performing at a top level. “The Vital Earth product line is a good fit for me because they help a lot of people with serious health issues. I am delighted to represent this excellent line”, said Marley. Other highlights for Vital Earth include a free, on-line education center for consumers. The staff is dedicated to sorting through volumes of health information from books, industry trade shows, lectures, research reports, and separating bogus, self serving claims from real, valid useful information. “Our goal is to help consumers easily understand what natural solutions are and how they could work for them personally”, Holden said. For retail stores looking for Distribution Centers carrying our products, or information, call 866.291.4400.